Obituary for Harold J. 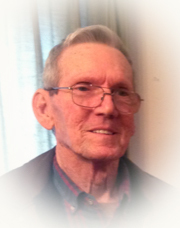 "HJ" Barton | Sheetz Funeral Home, Inc.
Harold J. “HJ” Barton, 72, of Elizabethtown, passed away on Wednesday, April 11, 2018 at Hospice and Community Care. Born in Marietta, he was the son of the late John and Jean (Saunders) Barton. Harold was the husband of Donna (Williams) Barton with whom he would have celebrated 23 years of marriage this coming June 3rd. Harold retired from High Steel as a crane operator. His sharp wit, handiwork, remodeling and talented woodworking will be sadly missed. A family-oriented husband and father, he enjoyed trips to his cabin in the mountains, hunting and most of all spending time with his family. Surviving in addition to his wife, Donna, are three children, Pamela Armold, wife of George of Columbia, Lori Bronokoski of Marietta and David Williams, husband of Emmanuelle of Elizabethtown; six grandchildren; one great grandchild; four sisters, Mary Jane Barton of Marietta, Janet Stuck, wife of James of Manheim, Gloria Foreman, wife of Barry of Mount Joy and Beth Gentry, wife of Brian of Marietta; and a brother, Robert Barton, husband of Lori of North Carolina. He was preceded in death by two brothers, John and Richard “Pete” Barton. A funeral service celebrating Harold’s life will be held at the Sheetz Funeral Home, Inc. 16 East Main Street, Mount Joy on Thursday, April 19, 2018 at 11 AM. Family and friends will be received at the funeral home before the service from 9 AM to 11 AM. Interment will follow at Laurel Hill Memorial Gardens. In lieu of flowers, memorial contributions may be made to Hospice and Community Care, 685 Good Drive, PO Box 4125, Lancaster, PA 17604, Wayside Presbyterian, 600 Stony Battery Road, Landisville, PA 17538 or the American Cancer Society, 31 Good Drive, Lancaster, PA 17603.